This is a unique opener for Northwestern on Thursday night in West Lafayette. It’s the first opener against a Big Ten foe since 1984 – which could either fuel the team to hit the ground running (following a combined 3-5 record in the first four games of the last two seasons), or leave them with a devastating loss in a season with little margin for error. Northwestern defeated Purdue handily the last 4 years, but that doesn't stop them from being considered the underdog this year. There's speculation that Purdue head coach Jeff Brohm has turned the Boilermakers from an afterthought into a rising competitor. Furthermore, there is ambiguity around who will be the starting quarterback for each side: in addition to the uncertainty that Clayton Thorson will be under center, Purdue has kept quiet about whether David Blough or Elijah Sindelar will be running the offense (although Sindelar seems to have the edge). While Brohm’s first season at Purdue was certainly successful, the Wildcats have the edge when it comes to coaching. Head coach Pat Fitzgerald has firmly established himself as one of the best coaches in the Big Ten, if not the country. This talent could come in handy towards the end of the matchup, where the Wildcats last year won three consecutive times in overtime. This game is an important indicator of what's to come for both sides, so the energy level and motivation will be high. That energy will be complemented by a prime-time football atmosphere in a packed Ross-Ade Stadium, as opposed to an empty Ryan Field; the Boilermakers were 4-2 in West Lafayette last year while the Wildcats were 3-2 on the road. 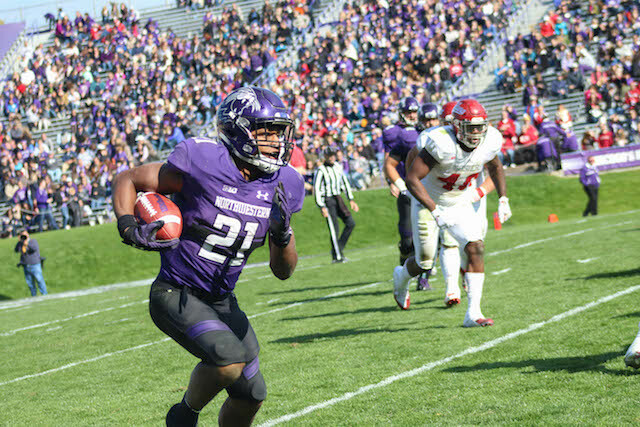 With kickoff just hours away, NBN Sports takes a look at where Northwestern stands on both sides of the ball – in the context of the Big Ten as well as how they stack up against the Boilermakers. When five-star Clemson quarterback Hunter Johnson made the decision to transfer to Northwestern this offseason, it was a tremendous sign of promise for a program that has been actively working toward elite status in the college football world. However, this intriguing future will have to wait until next season. Instead, all eyes will be on the hopeful return of senior Clayton Thorson, whose last memory with the Wildcats was lying on the field in pain during the Music City Bowl. But, since then, ACL surgery has come and gone, and the stability of this season rests on his health. Last season wasn’t perfect for Thorson (15 touchdowns and 12 interceptions) and he isn’t in the same Heisman Trophy conversation as Big Ten signal-calling peers Trace McSorley and Shea Patterson are. However, the team will rely on him as a veteran leader for an offense without Justin Jackson. As foreign as it will seem to be without The Ballcarrier, devoted fans will recognize the name replacing him: Jeremy Larkin. Last season Larkin gained 530 yards off of 84 rushes (6.3 yards/carry), production that had greater “efficiency and explosiveness” than Jackson, according to SB Nation’s Bill Connelly. The team returns last season’s two leading receivers in Bennett Skowronek (644 yards) and Flynn Nagel (489), but will also look to players like Riley Lees and Cameron Green to perform against Purdue and throughout the season. The Wildcats’ offensive line returns most of its components from 2017, when it allowed 2.38 sacks per game, worse than around two-thirds of Division 1 teams. For Thorson to feel secure in the pocket post-surgery, the O-line is going to need to set the tone against the Boilermakers. Purdue lost a lot of defensive contributors from last season, something that made ESPN weary in their preseason power rankings. Northwestern’s offensive matchup versus the Boilermakers should be favorable so long as Thorson is protected by his linemen and can play like his old self. Northwestern defensive coordinator Mike Hankwitz will return a unit not lacking in star power - but perhaps wanting in proven depth - at several key positions, including at linebacker, corner, and safety. The ‘Cats return seven of eight lineman and five of seven linebackers, and the strength of the front seven will determine whether or not the unit can take the next step up to become one of the most feared defenses in the Big Ten. Last year, the front seven’s forte was containing the run; the team finished 9th in the nation with 107.7 rushing yards allowed and 20th in rushing S&P+. Led by returning ends junior Joe Gaziano (35 TOT, 9 SAC) and sophomore Freshman All-American Samdup Miller (8.5 TFL, 5.5 SAC), the ‘Cats should be able to generate pass rush, but somebody needs to step up in the interior alongside senior Jordan Thompson to replace the departed Tyler Lancaster. Look for Alex Miller (22 TOT) to fill that void. If Alex Miller and Thompson don’t shore up the run D, the pressure will be on All-Big Ten linebackers junior Nate Hall (79 TAC, 16.5 TFL) and sophomore Paddy Fisher (team-leading 113 TOT) to stunt the run with little interior support. Luckily, Hall and Fisher are bona fide rocks at linebacker; if the two can stymie ballcarriers like Wisconsin’s Jonathan Taylor or dual-threat quarterbacks like Notre Dame’s Brandon Wimbush and force teams to throw the ball, they will lessen the pressure on the interior D-line and allow Samdup Miller and Gaziano to rush the quarterback. Outside of these two, the third linebacker in Hankwitz’s 4-3 is up in the air. One of Blake Gallagher, Nathan Fox, or Khalid Jones will be first in line, but with Hall and Fisher set in stone, the last linebacker doesn’t need to be special for linebacking corps to succeed. Questions abound at the secondary, as the ‘Cats will rebound from a string of injuries outside of presumptive starter and top cover man Montre Hartage (57 TAC, 3 INT). A second corner needs to emerge from returners Trae Williams, Alonzo Mayo, Roderick Campbell, and Brian Bullock. Williams, Campbell, and Bullock all spent time injured last year, and the latter two missed the entire season after early injuries. At safety, the loss of stalwarts Godwin Igwebuike and Kyle Quiero will leave big shoes to fill, with senior Jared McGee (27 TAC) and sophomore J.R. Pace (2 INT) the presumptive starters. Secondary depth will remain an issue until the underclassmen get serious game time and prove they can fill in for Hartage, Williams, McGee, and Pace. Given the fact that Northwestern’s run D will be a strength, opposing quarterbacks will target the secondary often. Northwestern should have the starting personnel to handle most offenses, but if injuries deplete the corps similarly to last year, the underclassmen will need to be ready to assume a starting role. The Boilermakers return the majority of their offensive contributors from last season, and will test the Wildcat D with their strong line play and solid ground game. Markell Jones, DJ Knox, and Richie Worship form a solid trio of backs. Of these three, who each topped 50 carries from last year, none had below a 4.8 YPC. Quarterback Elijah Sindelar is projected to start after leading Purdue to 4 consecutive wins following previous starter David Blough’s broken leg. Sindelar threw for over 2000 yards and 18 touchdowns, but he lost a few weapons in the passing game, including top receiver Anthony Mahoungou. Purdue retains number three receiver Jackson Anthrop, as well as their two top tight ends in Brycen Hopkins and Cole Herdman. Purdue can ride its offensive line to churn yardage on the ground, while Sindelar has the arm to air it out against the relatively unproven Wildcat secondary. The key for the ‘Cats can be if Hall, Fisher, Samdup Miller and Gaziano can force enough pressure to limit Sindelar’s ability to beat the secondary long and force the Boilermakers to play to the Wildcat D’s strength by focusing on the run. Overall, NBN Sports is optimistic about Thursday night and sees this game as a bright spot in a daunting season. 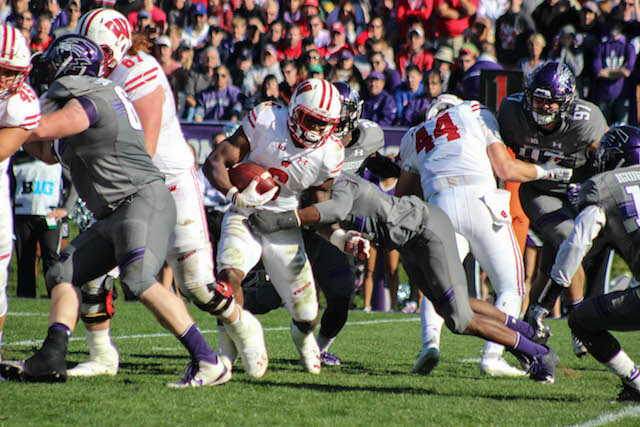 Behind a healthy Clayton Thorson, 100+ yards from Jeremy Larkin and a couple key turnovers, Northwestern comes out on top and vaults themselves into the AP Top 25.